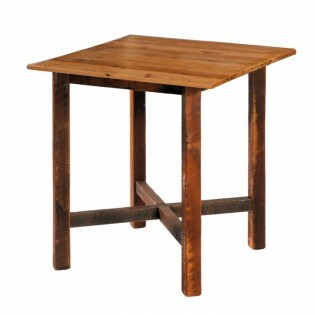 Reclaimed red oak planks from old tobacco barns are used to create this rustic pub table. 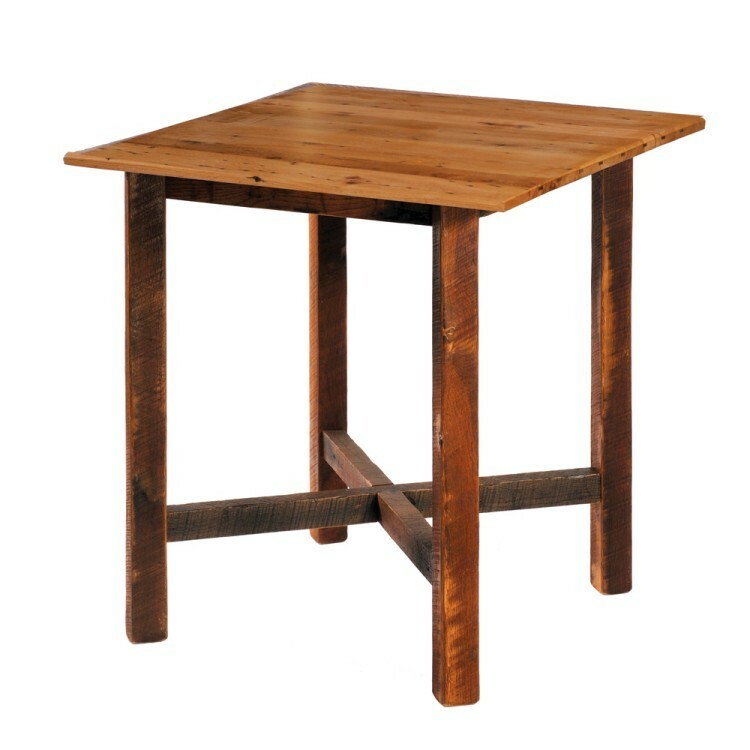 The Barn Wood Square Pub Table has a dull catalyzed lacquer finish for extra durability. 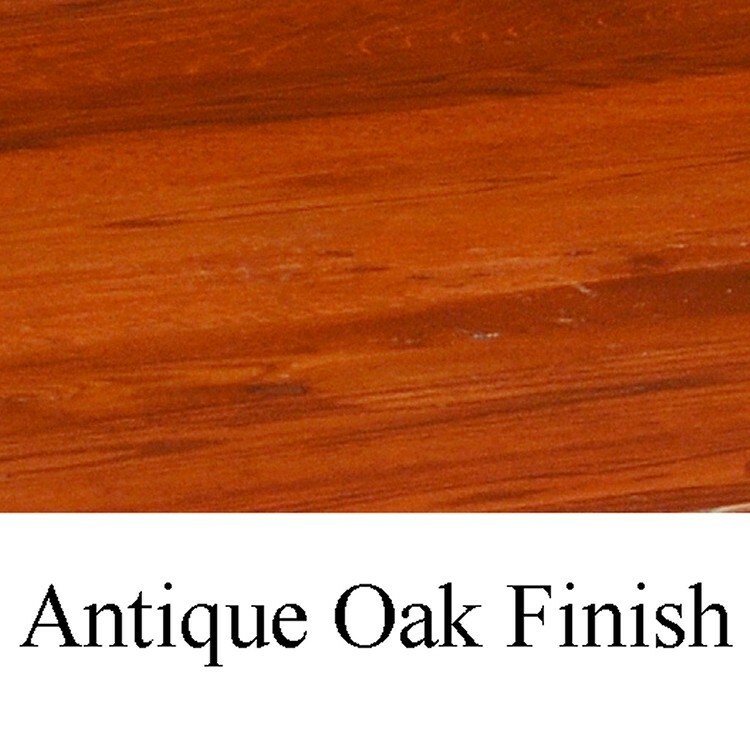 Choose either a standard finish (shown) or antique oak.